Remember my No-Bake Blueberry Cheesecake post from Pellegrino's? Guess what? They made something special for the month of Hearts --- also my birth month! Yay! "Oh No! I'm not a fan of cherries!" -- I told myself. But it does look extremely delicious! I had to wait for my mom-in-law to arrive for her to eat the "extra cherries" for me. Then I decided..I can't wait! It was love at first bite! The cherries aren't overwhelming and each fruit melts right into my mouth together with the fluffy cream cheese! And what sets THIS apart from the past I tried? The crust is made EVEN better than my first Pellegrino's Cheesecake experience! I loved it so much I texted my friend's sister right away (the owner) to tell her how much I love the cake and how much amazing the taste was! 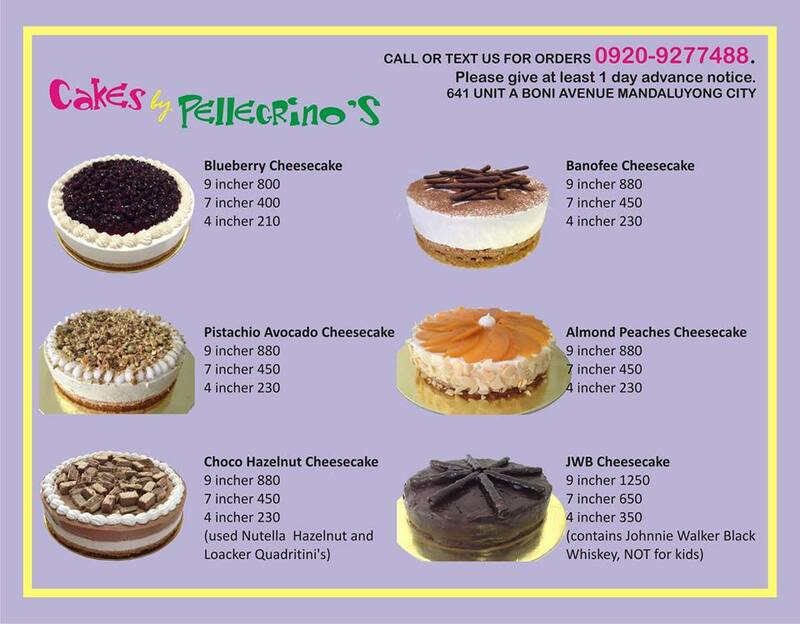 Okay, just in case the recipient isn't a fan of cherries, I believe you can request Blueberries or try other cheesecake variants shown below! Hands down, one of the best no-bake cheesecake I tried to date! Even non-cheesecake lovers (my mom) enjoyed this! A LOT!